Does Meat Glue Contain Gluten, or Not? "Meat Glue": A Threat Or Not? There's been a spate of recent publicity on celiac websites involving the safety of "meat glue," a product that butchers and others apparently use to bind different cuts of meat together. You can find meat glue in some processed meat products, and (perhaps) in some seemingly whole cuts of meat. Technically, meat glue is made with an enzyme that, in its pure form, does not contain gluten. However, the enzyme is called transglutaminase ... and this is almost certainly where the confusion surrounding meat glue and its safety comes in. Since the form of transglutaminase found in meat glue is not the same as the enzyme normally found in our intestines, it therefore shouldn't affect celiacs in any way. Now, there could be a problem with the added ingredients that, in addition to transglutaminase, make up the meat glue product. For example, Japanese company Ajinomoto Food Ingredients L.L.C. makes several different formulations of transglutaminase meat glue marketed as Activa. One form of Activa that's marketed specifically for binding wheat pasta together does appear to contain wheat. The others do not, but do contain potentially questionable maltodextrin, which may or may not be derived from wheat, depending on the country of origin. Many formulations of Activa also contain milk-derived sodium caseinate. Ajinomoto has released a statement regarding Activa and celiac disease saying that consuming meat glue is similar to consuming naturally-occurring compounds that occur when you cook meat and fish. Transglutaminase is safe for people with celiac, according to the company. In addition, the U.S. Food and Drug Administration has classified transglutaminase-containing meat glue products as "Generally Recognized as Safe," or GRAS. If transglutaminase meat glue is used in a product, it must be identified on the ingredients label as "TG enzyme," "enzyme" or "TGP enzyme." 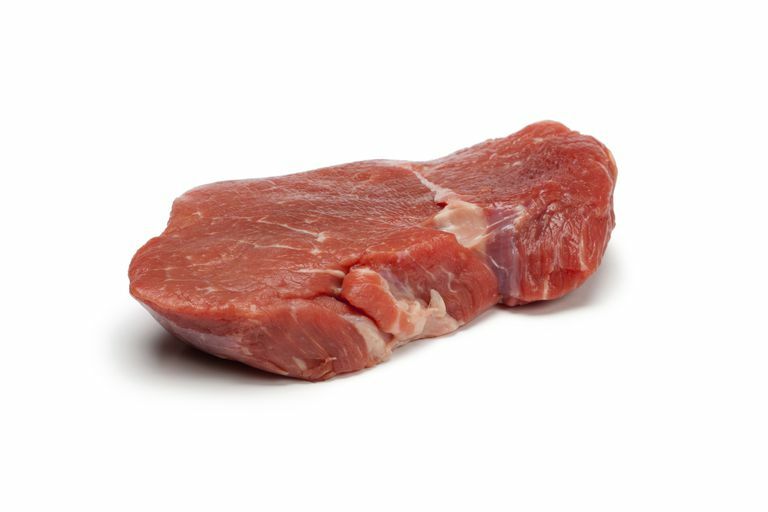 In addition, meats that contain transglutaminase will be labeled as "formed" or "reformed," as in "formed beef tenderloin," or "reformed beef tenderloin pieces." So is meat glue a threat or not? The transglutaminase enzyme should not harm celiacs, but the additional ingredients it contains may or may not be safe. Would I eat a product that contains it? No ... but I eat practically no processed foods anyway. This is one case where you'll need to use your own best judgment.